The AGM took place in the school on March 30th. with a very small attendance of only nine past pupils. The President, Brian Duncan, said that he was disappointed with the failure of the committee to attract new members in his first year of office but he welcomed John McKennedy. John is Principal of Knocklyon Community School and is already making a valuable contribution to the PPU. Brian is determined to continue the goal of attracting new members and he deals with that and other matters in his “Message” which you can see on the website under the PPU drop-down box. President Brian Duncan (right) started his second year at the 2017 AGM on March 30. Jim Conway has stepped down as Hon. Sec and has been replaced by John Cullen. 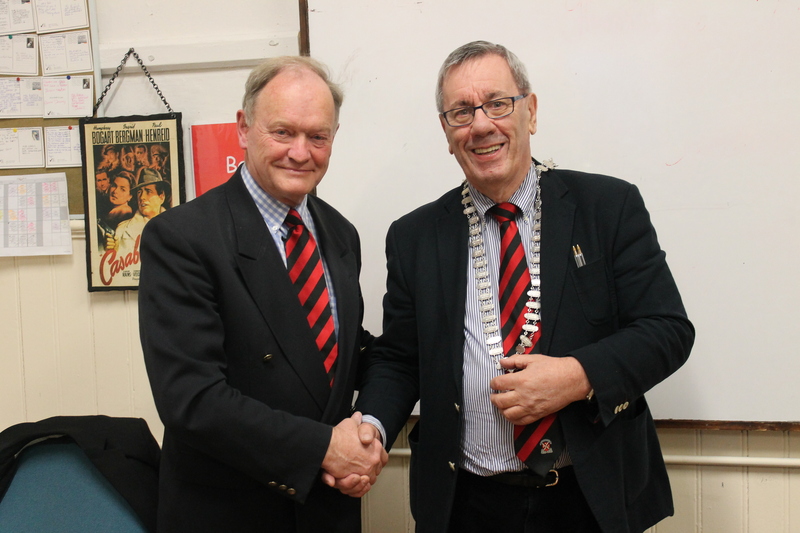 Michael O’ Sullivan stepped down as Treasurer but there were no nominations for that position. Michael has agreed to “keep the books” pending a new appointment. This matter is dealt with in the President’s message mentioned above. The President reminded the meeting that May 5th 2017 will mark the 20th anniversary of Ken Doherty’s winning the World Snooker Championship and the PPU will mark the occasion during the year.